WILLIAM BUTLER is the Vice President of Retail Services for Carnival Cruise Line. As the largest cruise line operator in the world, Carnival Cruise Line features 26 vessels positioned in 16 US home ports, Australia, and Europe; serving over five-million guests per year, with three additional vessels on order including Carnival Panorama set for delivery in 2019, sailing out of Long Beach, California. William is responsible for executing the global fleetwide strategy for retail with management of six retail concessionaire partners and proprietary onboard retail stores. He drives the strategic vision that delivers an experience in-line with the broader vacation experience onboard Carnival Cruise Line vessels. The multi-partner model involves levels of complexities unique to the cruise line industry and travel-retail sector with the intent to deliver industry first retail experiences. Previous to Carnival Cruise Line, William worked for FAO Schwarz in New York City. Serving as the Store Director for the world famous flagship on Fifth Avenue, William delivered an unparalleled shopping experience to over four million guests per year. Preceding FAO Schwarz, William began his career with Hecht’s Department stores, a division of May Company that eventually merged with Macy’s Inc. Starting in their store management training program in the Northern Virginia market, William accelerated through numerous divisions before he became Vice President Store Manager of the Fredericksburg, Virginia store followed by the Commack, New York store. 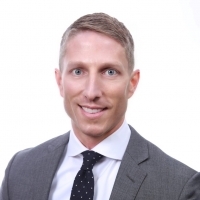 William earned a BS in Business Management from Virginia Tech and is currently pursuing his Executive MBA from Kellogg School of Management at Northwestern University. Outside of the office, William serves as a community leader with Big Brothers Big Sisters of Miami and participates with the Candlelighters Organization of New York City.